Tetanus, also known as lockjaw, is caused by Clostridium tetani. 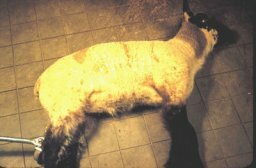 Typically tetanus is seen in lambs (less than six months of age) in the spring following castration and/or docking. Clostridium tetani are gram positive, anaerobic, rod-shaped bacteria that are found in the soil. Bacteria gain access through wounds from foot punctures, needle perforations, shearing, tagging, etc. Clostridium tetani releases two different toxins; tetanolysin, which hemolyzes erythrocytes and tetanospasmin, which attacks the nervous tissue. The majority of the clinical effects of C. tetani are due to the neurological effects of tetanospasmin. Tetanospasmin diffuses in the muscle and neuronal terminals, traveling up the motor axons to the central nervous system. At the spinal cord and medulla, synaptic inhibitions are decreased, resulting in muscles that are continuously contracted until physical exhaustion occurs. Eventually death results from respiratory failure. Clinical signs typically occur four to ten days post injury. Affected sheep die within three to ten days (mortality rate is 100%). Death results from respiratory failure. Primary differentials include strychnine poisoning (which usually lasts for only a few hours) and hypomagnesaemia (chemical analysis of blood will include low magnesium). 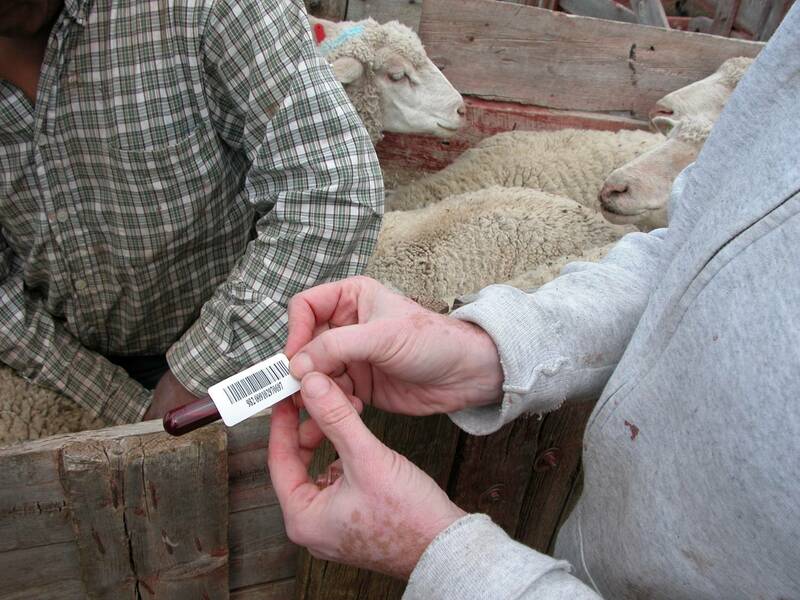 Using clean needles and clean tools for castration, tagging, shearing and docking, can prevent tetanus. Also a vaccination program that includes an eight in one clostridium vaccine can protect against clostridial disease. In addition, treatment of animals with puncture wounds should include injection of tetanus antitoxin and antibiotics. The wound should be thoroughly cleaned with water and antibacterial solution. Smaller puncture wounds should be opened and flushed with hydrogen peroxide solution. Animals affected with tetanus should be placed in a dark and quiet area, and be given chlorpromazine daily (total of 100 mg divided up in several doses given over several days. Jensen and Swift's Diseases of Sheep. Cleon V. Kimberling. Lea and Febiger, Philadelphia, 1988. Notes for the Sheep Clinician. M.J. Clarkson, W.B. Faull. Liverpool University Press, 1987.